An Affirmation of Life and Art: How can a simple story - whose ending is both positive and known - be so powerful? In an unanticipated Mother's Day special event, Abq Jew had the pleasure of escorting Great Grand Mama (and Mother-in-Law) Sheila Kronrot to a local (Century Rio 24) showing of the new film Woman in Gold. The just-released film tells the story of Maria Altmann (Tatiana Maslany and Helen Mirren), who was forced (and able) to flee Vienna shortly after the Anschluss (March 1938) - the joining of Austria with Nazi Germany. 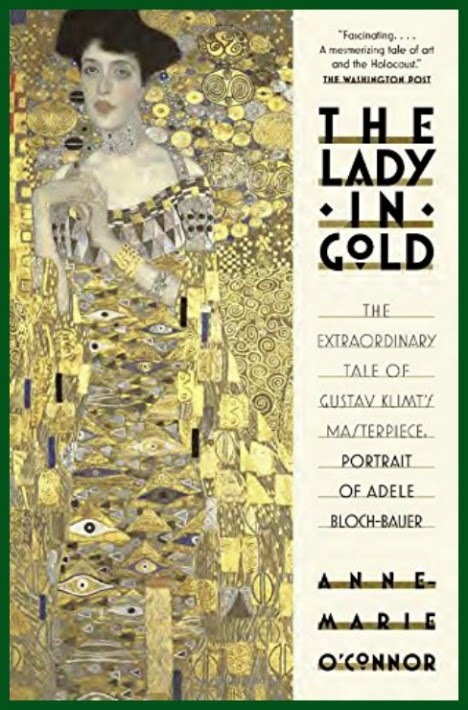 With the help of a young lawyer, Randol Schoenberg (Ryan Reynolds), the then elderly Maria sought to recover Gustav Klimt's portrait of her aunt, Adele Bloch-Bauer (Antje Traue), from the Austrian government. The portrait , the "Mona Lisa of Austria," had been displayed at the Belvedere Gallery in Vienna since it was stolen by Nazis off the wall of Maria's family home. The film is, as shown above, about the fight for justice. But there is much more to this very human story - about the fate of so, so many of Austria's Jews, and about the fate of one family of Austria's Jews. People see a masterpiece by one of Austria's finest artists. But I see a picture of my aunt, a woman who used to talk to me about life. We should be reunited with what is rightfully ours. 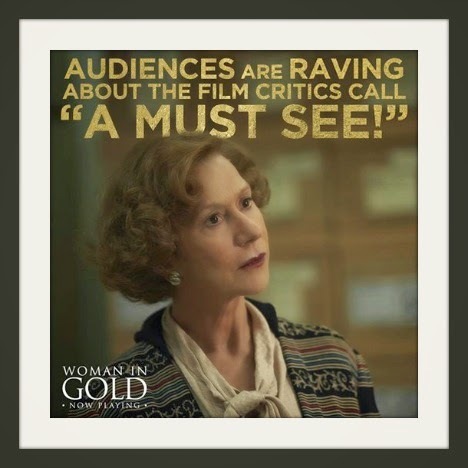 The power of Woman in Gold comes from its retelling of the story of one family. The most poignant scene is not (says Abq Jew) that of Maria's ultimate vindication. Rather, it is in the flashback to her wedding, and the glittering celebration of her future that soon turned dark. Note: Although the exhibition "Gustav Klimt and Adele Bloch-Bauer: The Woman in Gold" is only on view through September 7, the painting Portrait of Adele Bloch-Bauer I by Gustav Klimt is on permanent view at the Neue Galerie. "Gustav Klimt and Adele Bloch-Bauer: The Woman in Gold" is an intimate exhibition devoted to the close relationship that existed between the artist and one of his key subjects and patrons. Included in the exhibition will be a display of Adele Bloch-Bauer I, paintings, related drawings, vintage photographs, decorative arts, and archival material. This exhibition coincides with the opening of the historical drama "Woman in Gold," starring Helen Mirren as Adele Bloch-Bauer's niece Maria Altmann, and Ryan Reynolds as lawyer Randol Schoenberg. The Weinstein Company is set to release the film in U.S. theaters on April 1, 2015. 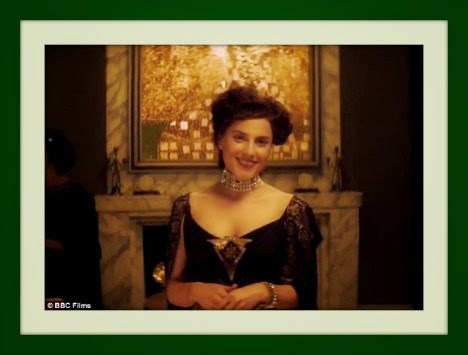 The film is based upon the incredible true story of how Altmann, working in collaboration with Schoenberg, successfully sued the Austrian Government for the return of five Klimt paintings seized by the Nazis from the Bloch-Bauer family townhouse in Vienna during World War II. Some reviewers (like the Daily Mail, source of many of the photos in this blog post) like the film; some call the film a "must see." Others, Abq Jew must tell you, see the lack of suspense (for those who know how it all turns out) as a serious handicap - despite Helen Mirren's outstanding performance. Better: Go see the film and go read the book, The Lady in Gold, by Washington Post contributor Anne-Marie O'Connor. Better yet: Go see the film and go read the book; then go participate in Sparks of Restitution, the June installment of Congregation B'nai Israel's popular Shabbat Sparks series. Academy award winning actress Helen Mirren is to receive the World Jewish Congress Recognition award for her role in the acclaimed film Woman in Gold. The award is to be honoured by WJC president Ronald S Lauder in a ceremony in New York later this year. 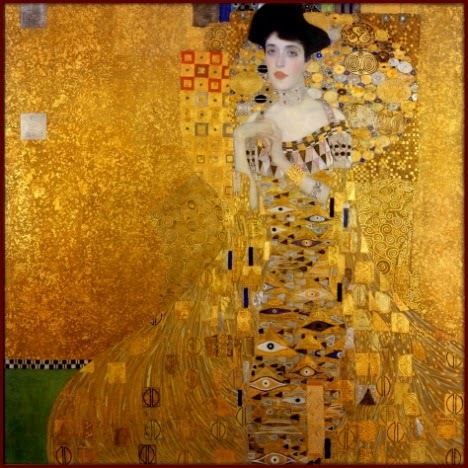 The history of the ‘Woman in Gold’ painting exemplifies the immense suffering, painful loss and, for a prolonged period, the injustice that many Jews were subjected to during the 20th century. Thanks to Helen Mirren’s stunning performance, the international public will learn about this legacy which still hasn’t been addressed properly by many governments and museums. Get Ready: ABQ Jewish Film Festival! The 2nd Annual ABQ Jewish Film Festival!